London, N13 5TD. You (“you“ “the booker“ and all members of your party collectively called “the guests“) accept these conditions yourself and on behalf of all members of your party whether you are booking as a guest or on behalf of others. In addition by visiting or using our website you agree to comply with the Site Terms. Visa Debit Card or Maestro/ Solo payments. Credit card details must match the security checks. We may pass your debit/credit card details to a third party to process any payments. Credit card fees are not refundable in any circumstances. All requests for changes, extensions and cancellations must be made in writing directly to us. If you wish to change any detail of your confirmed booking we will do our best to make the change. Changes to the arrival date to later than the original date confirmed will be treated as a cancellation under Clause 4.4 and 4.5 below.All changes of date are subject to availability. Should any change be rejected, the original booking will be re-instated. Name changes or child age changes will not incur any charges or administration fee. security of these linked websites. Our website (and/or other means of promotion or advertising) will only have a general representation of the accommodation shown. Actual apartment size, design, fixtures, furnishings and facilities may vary. We cannot guarantee an exact apartment number prior to arrival. The maximum guests in an apartment is determined by the number of beds in the apartment. 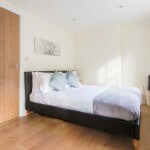 If the maximum number is 30 exceeded then we may refuse access to the accommodation and/or reserve the right to charge for additional apartments. Key collection details will be provided to you (via your booker where applicable) prior to arrival. 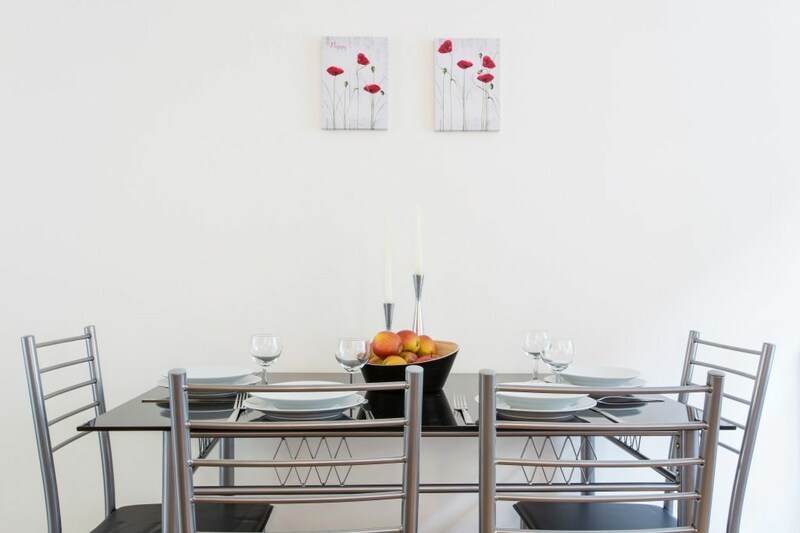 Our apartments do not have reception, therefore it is mandatory to tell us the date and time of your arrival so that we may arrange a personal meet & greet service in order to hand over your keys. It is essential that you have this information with you on arrival and, where notified, contact us in advance to confirm the arrival procedure. The following information applies to Urban Stay operated apartments. 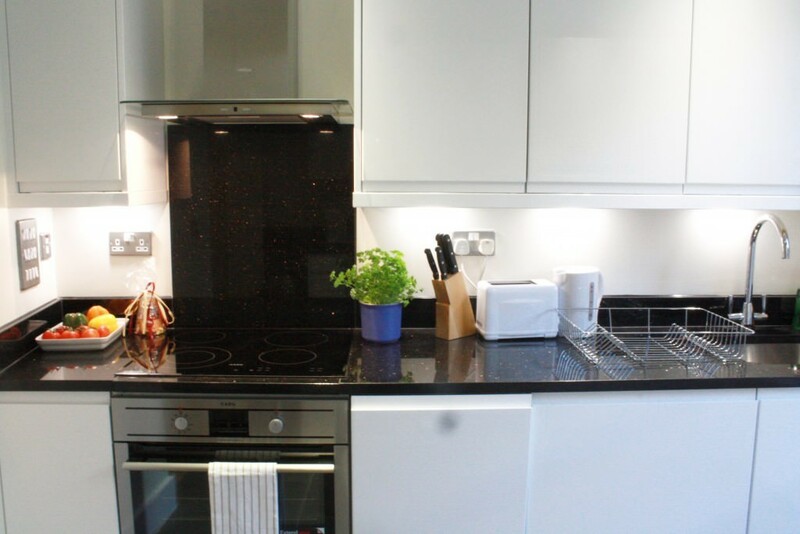 • Cleaning: Your apartment is cleaned weekly. The day your cleaning is scheduled will be advised on arrival. 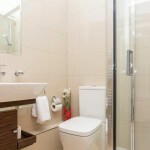 Weekly housekeeping includes linen/towel change and general cleaning. • Internet Access: Information about Internet access will be provided at time of booking and on arrival. Access is subject to the Urban Stay acceptable use policyand at peak times the bandwidth available for connection to the Internet may be under pressure due to the number of people connecting to the Internet, both internally and externally. Urban Stay recommends that activities requiring increased bandwidth such as Skype, Movie/TV streaming is limited at these times. A support service is available to assist guests connecting to the Internet but if in Urban Stay’s opinion the fault is deemed to be with the guest’s equipment no support can be provided. Guests must not interfere, move or disconnect any equipment relating to the provision of the Internet access and must not use the connection for any illegal or immoral purpose (including but not limited to file sharing) and Urban Stay reserves the right to pass on any record to the authorities should Urban Stay be made aware of any such use. 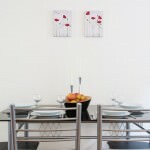 Urban Stay reserves the right to disconnect a guest at any time without notice if, in Urban Stay’s opinion they breach any of these terms and conditions. preferred supplier is made aware of, and rectifies, such problems within a reasonable period. • Pets: Pets are not allowed in any apartment or apartment building; exceptions may apply. • Age Restrictions: In order to ensure our guests enjoy a stay free from disturbance, at Urban Stay operated apartments, non-corporate bookings may not be accepted from any paying guests under the age of 25. Proof of identification and date of birth may be requested on arrival and if not presented on request, we reserve the right to cancel the booking. 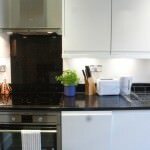 • Lost Property: All your possessions should be removed from the apartment on the date of departure. We will use reasonable endeavours to retain any lost items for up to 3 months after your departure date. Email: info@urban-stay.co.uk for enquiries relating to lost items. 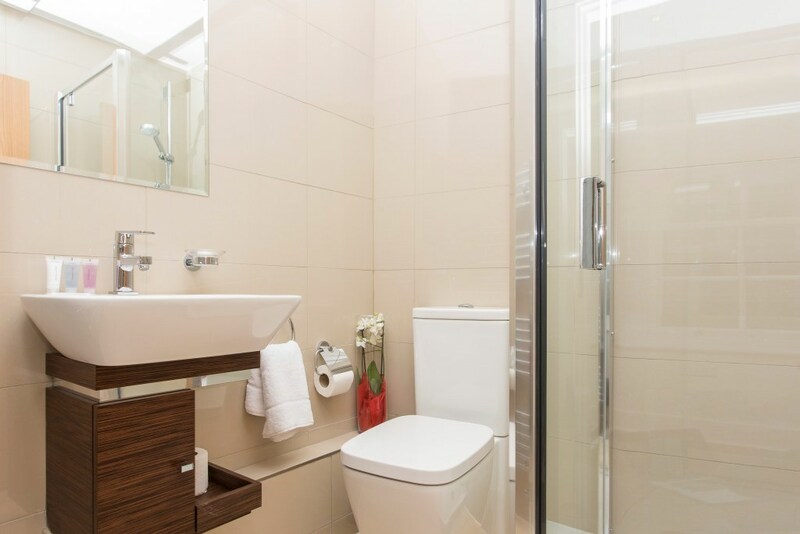 In the unlikely event that you are dissatisfied with any aspect of your accommodation please notify Urban Stay’s management team soon as possible in the first instance. If you do not give us the opportunity to resolve a problem during your stay, this may affect the final outcome of any complaint received. 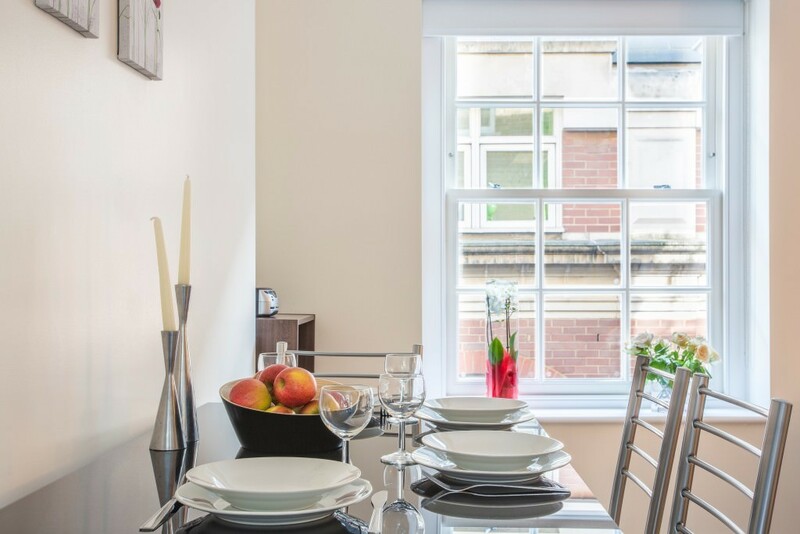 We aim to deliver the best possible customer service, but in the unlikely event that you are dissatisfied with our service, please contact us by email at info@urban-stay.co.uk. 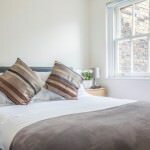 Superbly designed and of an extremely high standard, enjoy a great stay in the City of London at the Artillery Lane Apartments by Urban Stay. 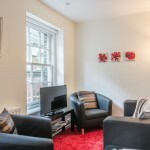 The serviced accommodation is situated just over 5 minutes on foot from Liverpool Street Station, one of the capital’s busiest railway stations. 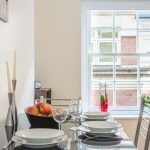 Not only is the rest of the city easily accessible (in zone 1 it is serviced by the Central, Circle, Hammersmith & City and Metropolitan lines) but Cambridge, Norwich, East London, the East of England and Stansted Airport are too. 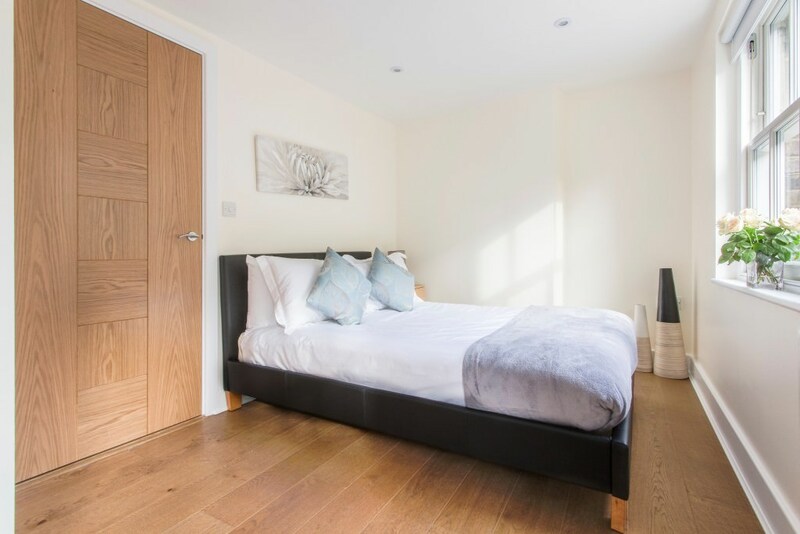 Located just off Liverpool Street, the Artillery Lane serviced accommodation offers stylish, contemporary two bedroom apartments, that sleep up to 4 guests. 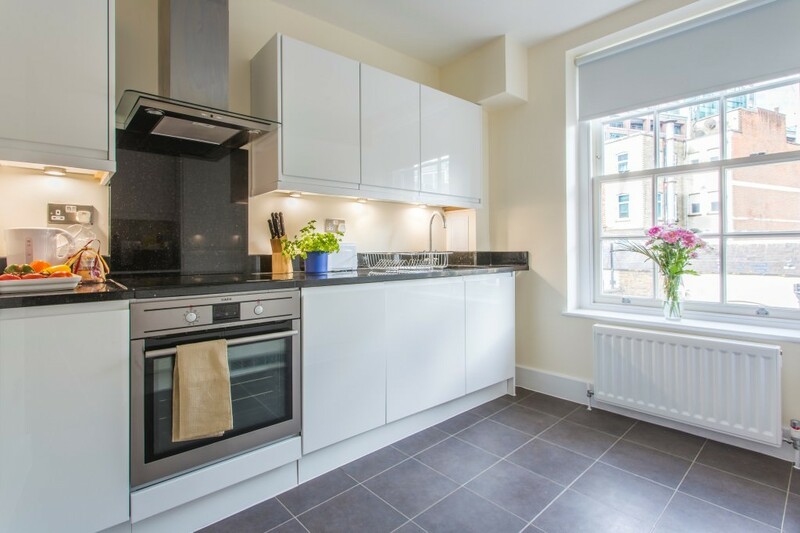 With fully equipped modern kitchens, both business and leisure guests can enjoy self catering in a cutting edge environment. 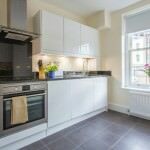 With stunning dark granite counters, as well as dishwasher, fridge freezer, microwave, oven, kettle, cafetiere and toaster, all amenities have been considered. 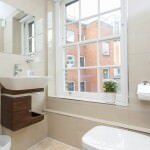 Urban Stay apartments are perfect for the discerning traveller and all are exquisitely decorated. 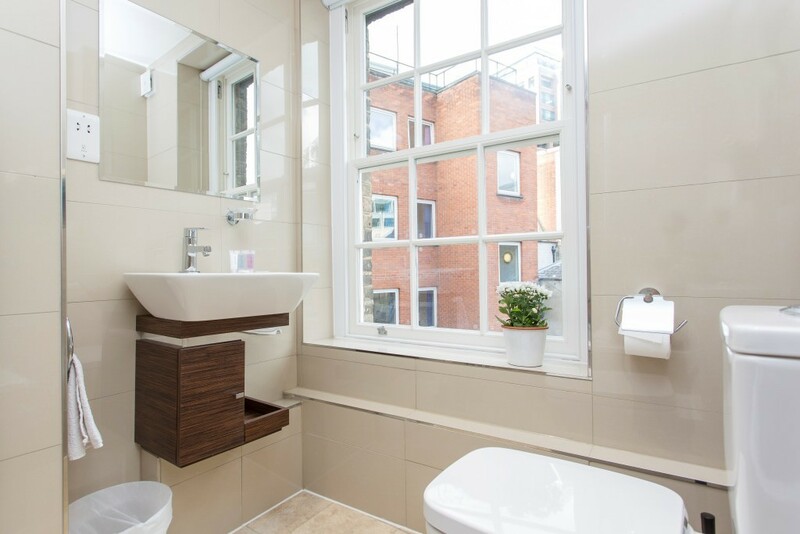 Chic bathrooms are fully tiled with heated towel rail, toilet and wash basin, and are decorated with lovely designer fittings. 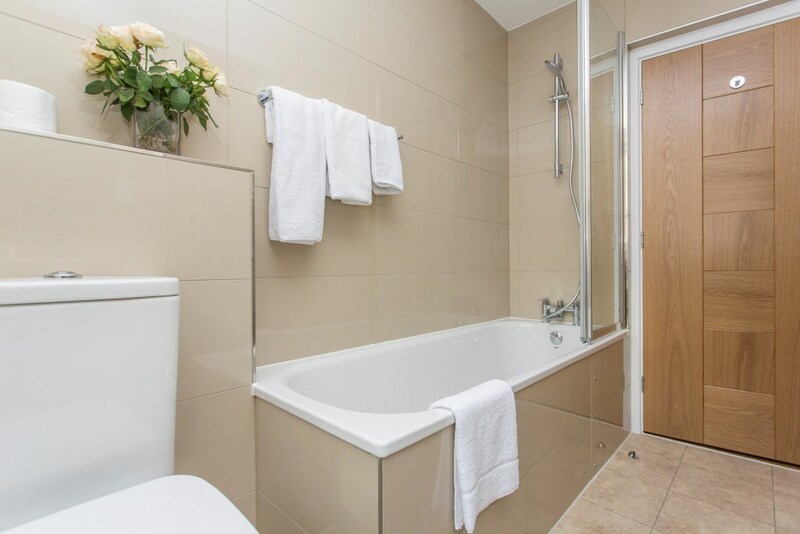 The en-suite bathrooms are equipped with a shower, whilst the family bathrooms have a shower over a bath. 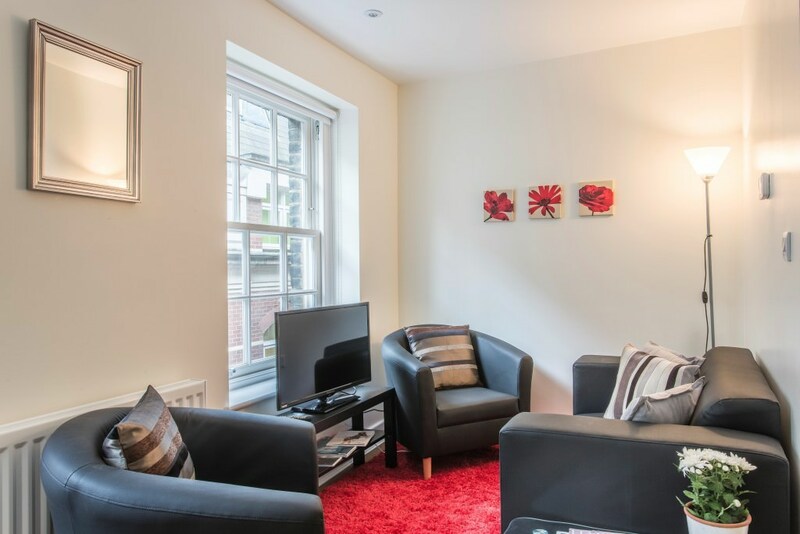 The Artillery Lane serviced apartments offer complimentary WiFi, comfortable living areas and high definition televisions, so guests can sit back and relax in the evening after a day in the office or shopping! 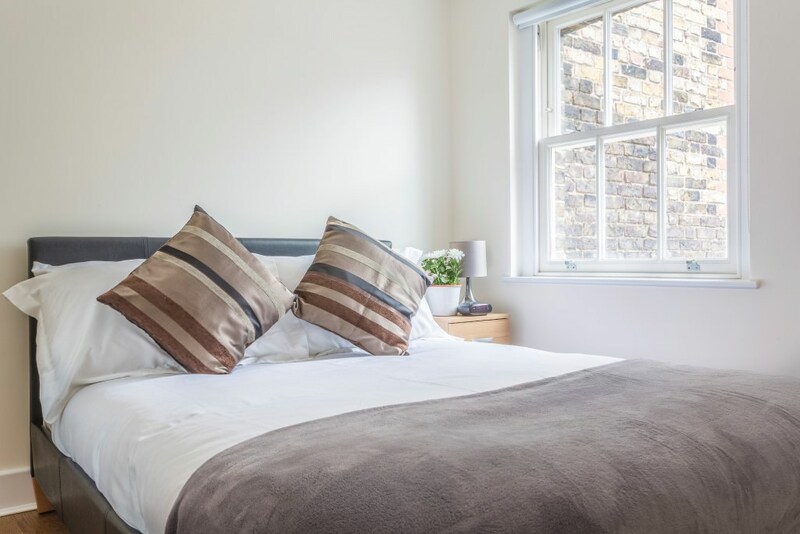 Within 2 minutes walk from the property, guests can enjoy super pubs, restaurants, cafes, shops and sights, including the well known Spitalfields Market. Please note access to all the apartments is via stairs. There is no elevator.